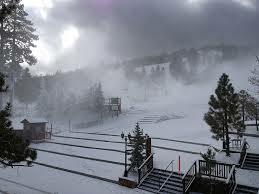 Big Bear Ski-in/out Vacation Rentals! Trek Properties is part of Travel Group International LLC. The owner Shaun McMahon, a San Diego native, has a strong desire to share her Southern California experience with as many people as possible. We currently have two wonderful properties in the Big Bear area that are available for rental year round with a new cabin being completed (Maltby Chalet coming on-line soon). All of our properties are Pet Friendly. Big Bear is all about exploring nature year round with it's beautiful lake for boating and fishing, The National Forest for mountain biking, horseback riding and hiking, plus a fabulous array of excellent restaurants, shops, golf, local Zoo and Discovery Center. Whether you like skiing, snowboarding or just playing in the snow, winters in Big Bear are typically mild with plenty of snow; For summer enjoy boating, fishing, hiking and mountain biking; Try Exploring the Big Bear winter wilderness on snowshoes, or maybe a guided off-road tour. Big Bear is the best destination in SoCal to reconnect with your friends and your loved ones. Feel free to look around and compare prices and services that are offered. You will get a five-star experience for a three-star price. We appreciate all comments, suggestions, referrals, and reviews. You'll never want to stay anywhere else than with your Southern California Vacation Experts!